We all know how frustrating it feels when it takes what it seem like forever for a website to load. In fact, according to recent surveys, 40% of the people who surf the web tend to leave a website if it takes more than 3 seconds to load. Does your website load faster than 3 seconds? Did you know that Google also uses the website loading speed as a SERP ranking signal? Of course, if you know your way around website optimization and SEO, you may already know about all of this. But, what we’re trying to convince you here is how important it is to make your website load faster. So, if you’re really interested in boosting the speed of your website, getting better rankings on Google, and bringing in more visitors to your website, then this article is just for you. Don’t worry, you don’t need to be an expert to follow the tips we’re about to share here. Anyone could easily implement these techniques to supercharge their website. Why care about website loading speed? If you’re like most website owners out there, you probably read a lot about SEO strategies, but try to avoid experimenting with new techniques because you’re afraid it might damage your website. What you fail to realize is that when you don’t try to optimize your website, it hurts your website rankings even more. Thousands of new WordPress websites and blogs are created every day and the chances of another website taking your spot on Google increases each and every minute. The only way to stay on top of Google is to try each and every website optimization technique you can think of to make your site bulletproof against your competition. Improving the speed of your website should be your number one priority. Because half a second delay in your website responsiveness could cost you hundreds, maybe even thousands, of valuable visitors and potential customers. Here’s what you should do to improve your website performance. Before we do any kind of optimization, it’s important that we figure out the current speed of your website and how fast it loads. To do that, you can use the ManageWP Performance Check tool. This tool runs a deep scan to determine several important factors related to the speed of your website, including website loading time, total page size, and much more and it will give your website a score based on how fast your website performs. 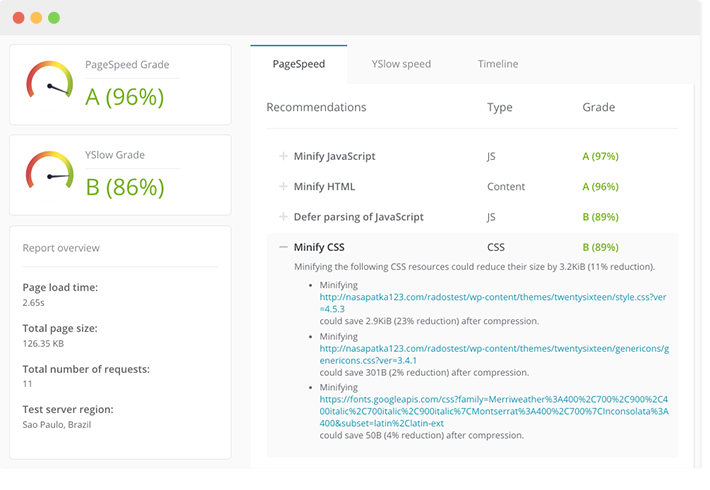 Then it will show you which parts of your website need to be improved to achieve an even faster loading speed. Simply signup with a ManageWP account and choose the Performance Check tool from the dashboard to run a test on your website. The free version of the test will provide you with plenty of details you need to know about your website. You can buy an add-on for the tool if you need a more advanced check up. After a successful performance check, the results will show you which areas of your website need to be optimized. Then you can focus on fixing those areas of your website to make it load even faster. Web hosting: It’s the most obvious solution to improving website speed, yet also the most overlooked website speed factor of all. It’s easy for anyone to get distracted by the low prices, cheap tricks, and the brilliant marketing of certain web hosting providers and choose a hosting plan that offers poor server resources, which results in slow website performance, especially when using shared hosting plans. Everything from the type of hard drives that power up your web host servers to its RAM speed and processors counts heavily toward your website’s speed. SSDs, more RAM, and multi-core processors are what makes a great server. Be sure to contact the web hosting provider and learn about its servers and how much resources you get for your hosting plan. Some web hosting providers, like Siteground, even offers special website caching services for WordPress websites that improves your website’s speed even further. So, choose wisely. It’s a known fact that images improve the readability and the user engagement rate of an article. After all, a picture is worth a thousand words. This is exactly why we fill our websites and each blog post on our WordPress blogs with lots of images. However, these images are also one of the main culprits that slow your website down. If you could find a way to optimize these images you may be able to save a few megabytes off your total page size. Using fewer images is not the solution. You need those images. The solution is optimizing the images and compressing them into a smaller size. The only problem is how do you lower the size of a JPEG or a PNG without destroying its quality? There’s a WordPress plugin called Imagify that does this job perfectly. This plugin automatically optimizes each image you upload to your website and lowers their size to less than half their original size without sacrificing the quality of the image. The plugin is also quite easy to install and the free version is more than enough for a small WordPress website or a blog. 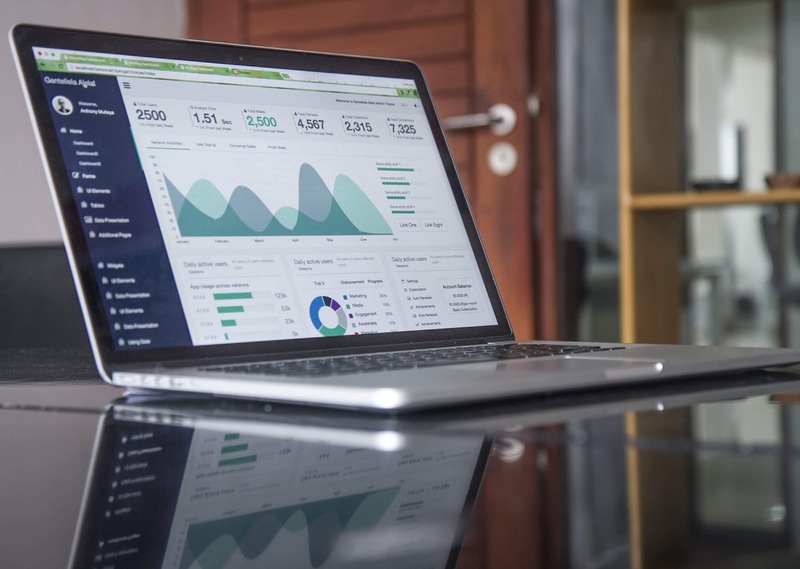 Website caching helps you improve your website performance by creating static pages of each post on your website so that your website visitors don’t have to load each page all over again when they visit your website again. There are a few great free caching plugins available for WordPress websites, such as WP Super Cache and W3 Total Cache. The downside to these plugins is that they aren’t beginner friendly and it takes an expert to properly install these plugins on a blog. As a result, most people who are not familiar with WordPress avoid installing a caching plugin. What most of them don’t know is that there’s a lesser known premium plugin anyone could easily install with just one-click. This plugin does the job of website caching perfectly. 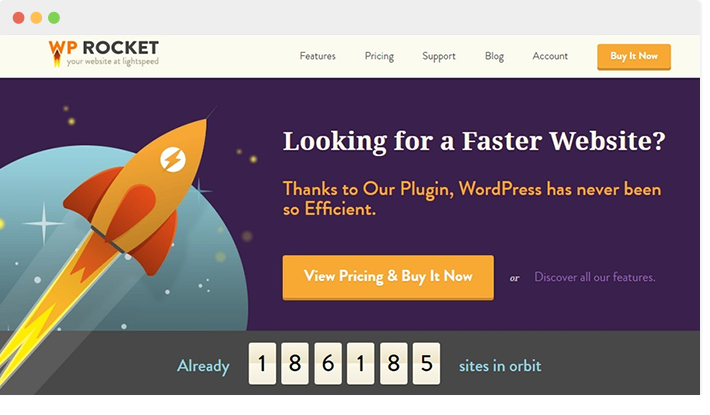 WP Rocket is the plugin we’re talking about. 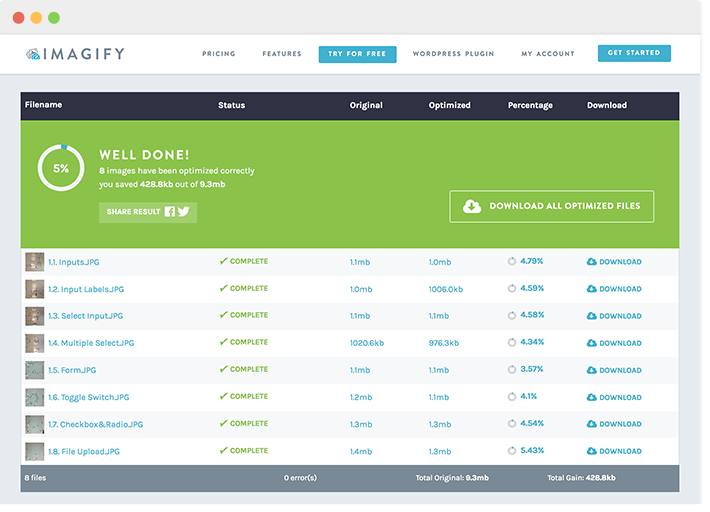 It’s a premium plugin that costs $39 and it comes with many more features than website caching, including cache preloading, images on request option, file compressions, and more. AMP or Accelerate Mobile Pages is a new open-source project that revolutionized the way we browse websites on mobile devices. The websites that use this technology have web pages that load instantly without any page loading delays what so ever. It allows your visitors to browse your website as if it’s a native app on their smartphone. Google is also giving huge ranking boosts to websites using this technology. Usually, implementing this technology is no job for a beginner. But, for WordPress users, there’s a plugin for that! 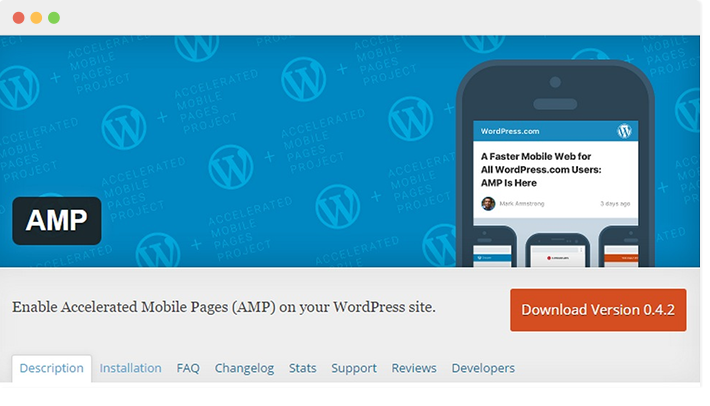 The official AMP plugin developed by Automattic, the developer of WordPress, lets you add support for the AMP project on your website which will generate AMP-compatible versions of all your blog posts and website pages. Following these tips is only the first step toward optimizing your website speed. There’s a lot more you can do to make your website load faster and rank higher on Google. Remember to always monitor your website and check loading speeds. And don’t stop here. Keep looking for more ways to improve your website that delight all your visitors and beat your competition. Dev is the founder of WPKube, a WordPress resource site which focuses on helpful tutorials, in-depth guides, and exclusive deals. Next blogpost:Why is SEO essential for your business? Wow that was awesome, Applied that to my website, and it started working like a charm.. According to the tests, I did with GTMetrix & Google Insight, my site is on a good ranking & has very less issues along with very less size while when I browse it either from my PC or from any other PC from any other internet connection then it opens up too slow. Even though, I use some cache plugins, too. If you have suggestions to this issue then I will very appreciate it. All good, but wouldn’t use AMP, not at this stage. It compomises the design and doesn’t give many benefits. Agree 100% AMP is pointless. Bad design, bad privacy and many errors possible. Well website loading is seriously a big factor in viewing a website and if it takes time for a website to load i really loose temper as a user and as an owner of a website we really should look at this post which has strong points in support of the strategic steps to uplift your website. This 2017 is going to bring a great change in the SEO. We need get updated with them and should also follow all these steps in optimizing a website.